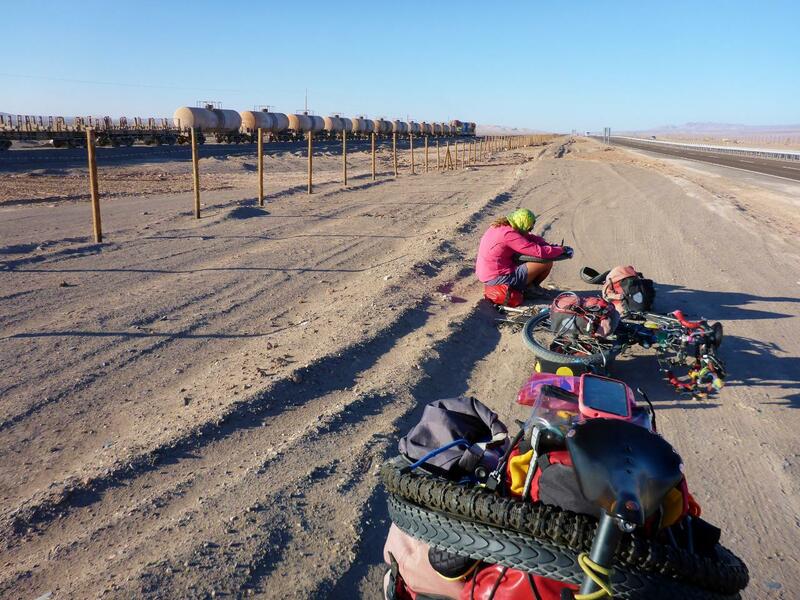 A few days ago I was thinking that we have had no punctures in all of South America. It looks like Jocelyn is praying as she changes the punctured tube…our first since Nicaragua. Not bad!